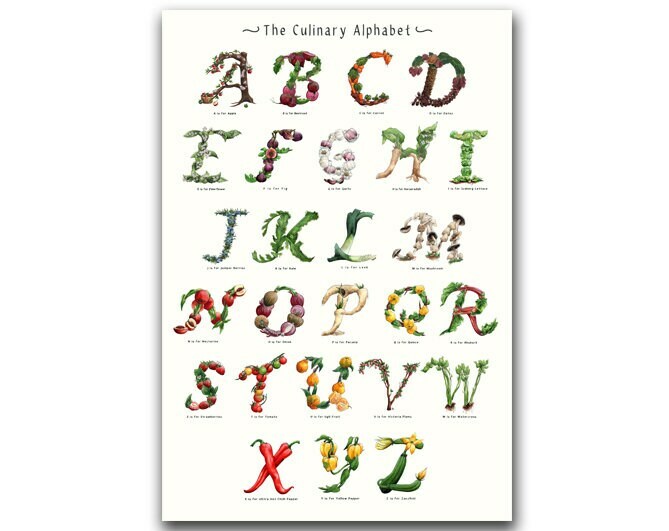 This beautifully illustrated, fruit and vegetable A-Z print will make a beautiful addition to any home! 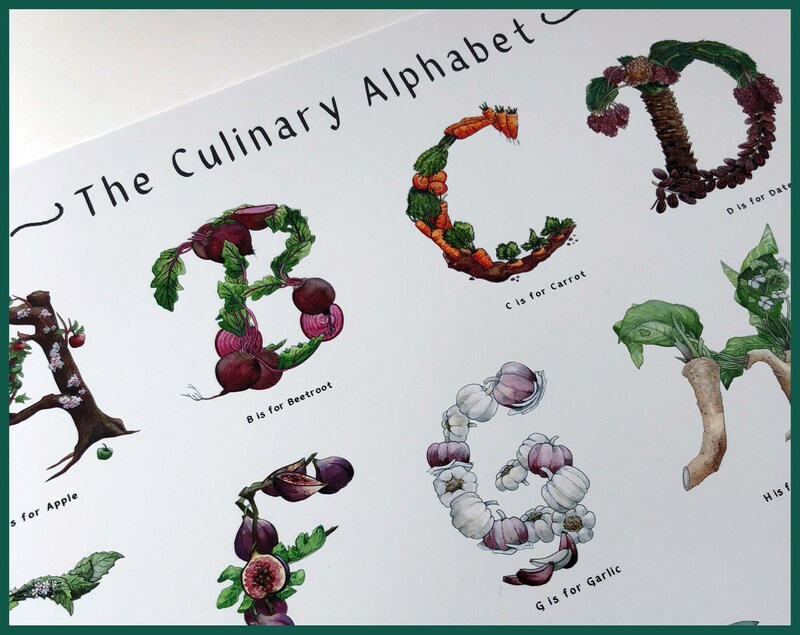 The original illustrations were created using coloured pencil, graphite and watercolour. 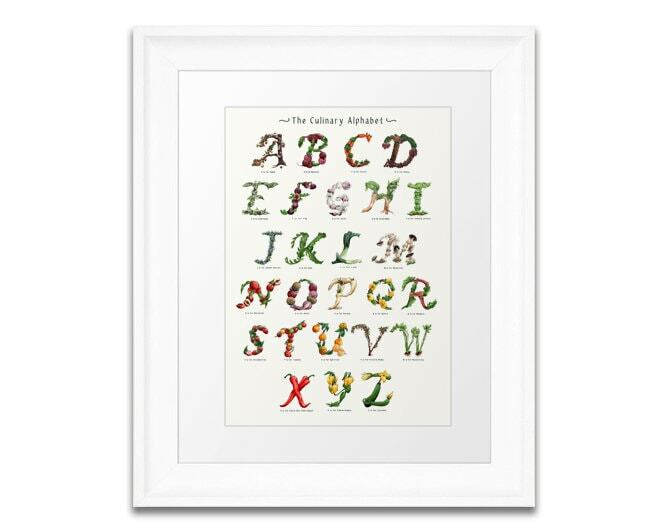 The overall print measures 330 x 482 mm (13"x19") Each print is signed. 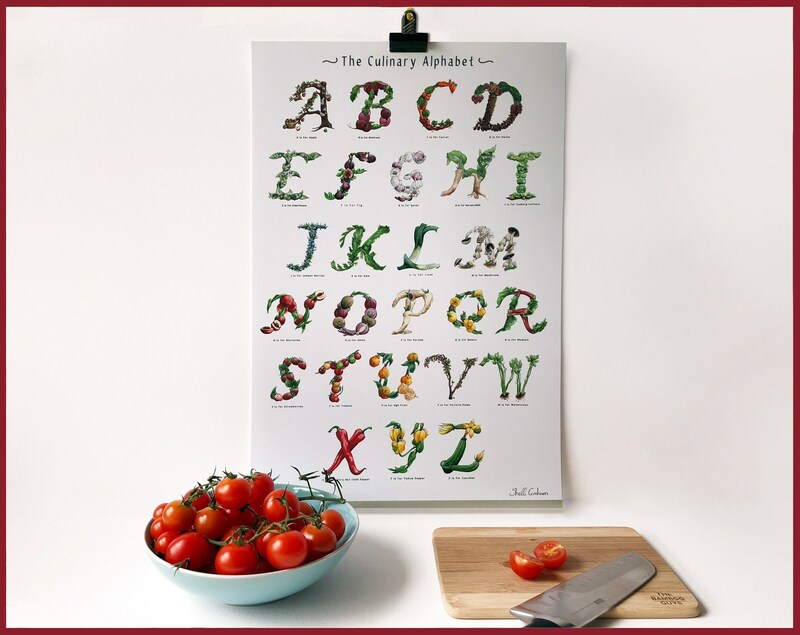 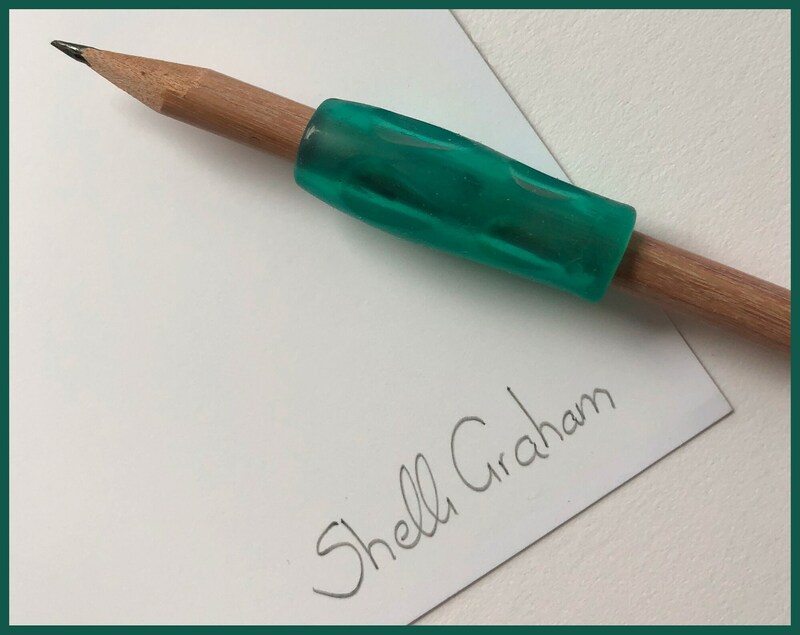 You will receive your print carefully rolled up inside a postal tube lined with tissue paper, making it a great gift for foodies, budding chefs and keen gardeners. 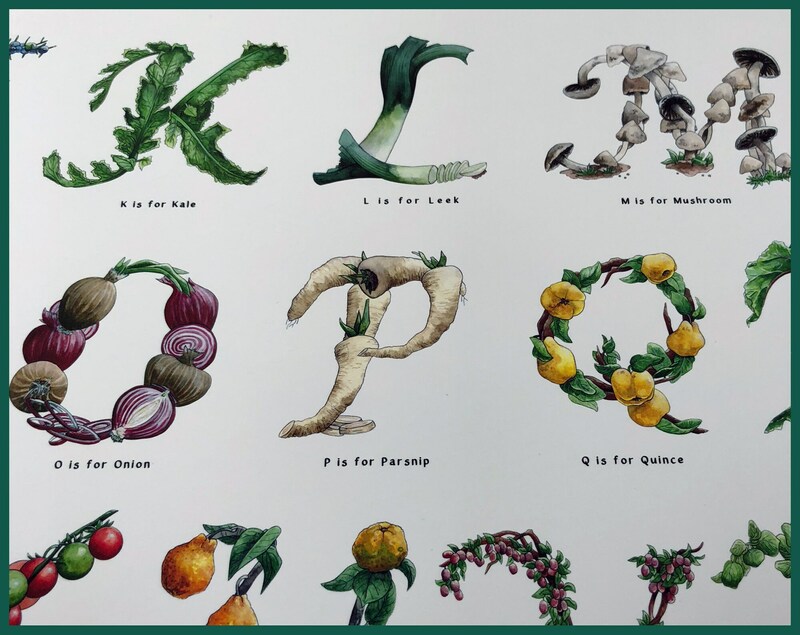 Each letter pays homage to a fruit or vegetable beginning with the same letter.